Winter Park Flyfisher is open year-round. We serve fishermen of all experience levels by providing exciting guided trips and selling top-notch fishing equipment. We are your one-stop shop for fly fishing gear in Fraser, CO. If you are looking for the most trusted name-brands in the fishing gear industry, look no further than our shop. We are proud of our extensive inventory of trusted fishing equipment! You can count on us to provide you with the gear you need to make your next fishing expedition a success. We are proud to be the foremost Patagonia and Simms retailer in the region. 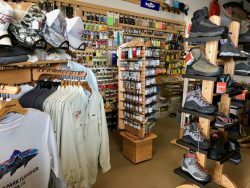 We also offer high-quality outdoors goods from brands including Montana Fly Company, Solitude, Scientific Anglers, Buff, RIO, Temple Fork, Umpqua, Winston, Ouray, Brodin, Lamson, Ross Reels, Redington, and Trouthunter. 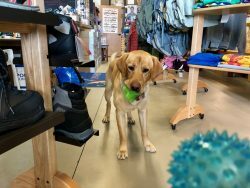 If you are looking for a particular Simms or Patagonia product that we don’t have in-stock, we’ll do our best to have it to you within two business days. We sell several different types and sizes of fly rods. Depending on your preference and experience level, we can help you find a rod that meets your needs. The larger the game you’re going after, the more important the fly reel. Consult with one of our experts to learn which of our fly reels best suits your fishing style. As the premier source of fishing gear in Fraser, CO, we offer a wide range of fly lines and backings to choose from. If you prefer to tie your own fly, you can stop by our in-store fly-tying area. We offer everything you need to create your own effective fly to tantalize a Rocky Mountain trout. If you’re ready to invest in great fishing gear that will help you make the most of your time outdoors, reach out to one of the friendly crew at Winter Park Flyfisher. Call us today at 970-726-5231 to learn more about our extensive inventory of high-quality products.